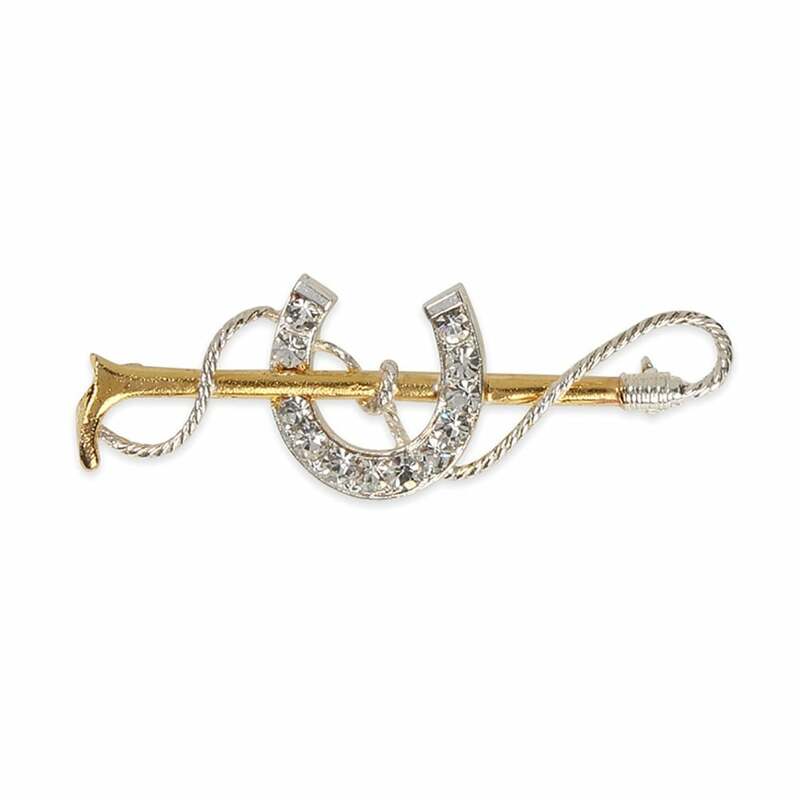 The Shires Gold Crop with Large Diamante Horse Shoe Stock Pin is a gold plated stock pin featuring a riding crop and horseshoe design. The large diamante horse shoe gives a lovely detailed finish to your competition outfit. This stock pin fastens with a safety clasp and comes in a presentation gift box.